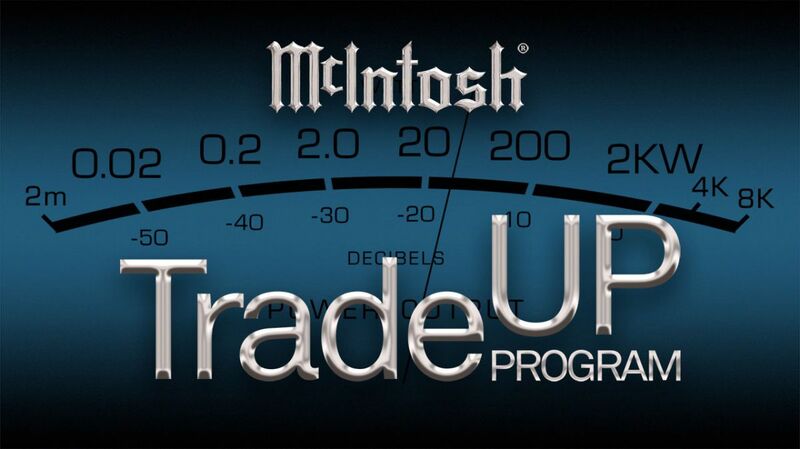 As a testament to McIntosh's durability and value retention, for a limited time you can trade in select McIntosh products from as far back as the 1960s and receive up to 75%* of their original MSRP to use towards the purchase of new units. Do you want more power? Or advanced digital music capabilities? Or just something new? But are unsure what to do with your existing McIntosh products? With our TradeUP Program, there is an easy way for you to upgrade to current models at significant savings without the hassle of selling your existing products. Simply trade in your qualified McIntosh mono or stereo amplifier, preamplifier, integrated amplifier or receiver and get up to 75%* of their original MSRP to use towards the purchase of a qualified new mono or stereo amplifier, preamplifier, integrated amplifier or receiver. Contact Us today for full details and to take advantage of this amazing limited time offer. *Promotional period: September 4 – October 31, 2018. Offer valid only in the US and Canada to US and Canadian customers who make a purchase during the promotional period from a participating US or Canadian Authorized McIntosh Dealer. Purchases made at non-participating or non-authorized dealers will not qualify. The entire purchase must be made in a single transaction, from a single participating Authorized McIntosh Dealer. Trade-In units must be in acceptable working and physical condition with no more than ordinary wear and tear. Deductions may be taken off the Trade-In value based on product condition or lack of original packaging. Units modified from their original design do not qualify. Only models listed on the qualified Trade-In list are eligible to be traded in, and with certain limited exceptions that your Authorized McIntosh Dealer can explain, only one Trade-In unit will be accepted per new product purchased. See your participating Authorized McIntosh Dealer for details. Prior sales excluded.